The EE100 Special Polaroid camera I own has alot of light leaks - I typically use a black t-shirt sleave to block out the leaks from the bellows of the camera. Sometimes they still get through. 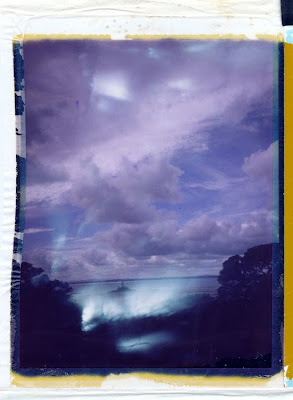 Here is an example of some unintentional (but perhaps artistic) light leaks from this camera. This was shot on 690 Film.